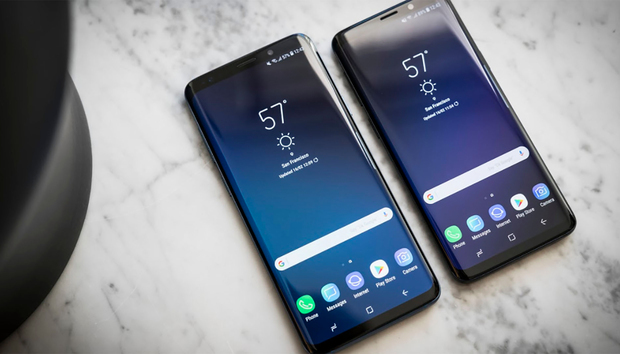 The Galaxy S9 and S9+ may have the same size, shape, and screen as the Galaxy S8 and S8+ they replace, but don't be fooled. Inside, Samsung has completely retooled its flagship phones where it counts: in the processor, the camera, and even its emoji. 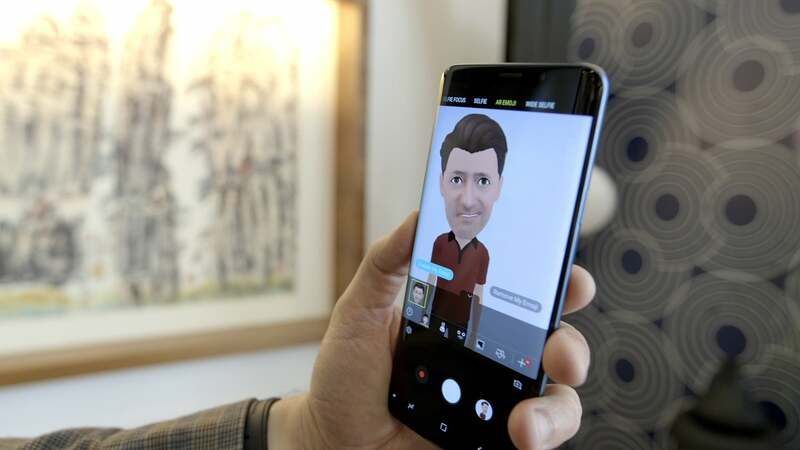 In a first for the smartphone industry, Samsung is introducing a dual-aperture camera tuned for low-light situations, and chasing Apple's Animoji, the company has introduced augmented-reality-tooled emoji of its own. You can read our first hands-on impressions of the Galaxy S9 here. We also conducted some early Galaxy S9 camera tests. From the front, the S9 looks exactly like the S8, with 5.8- and 6.2-inch Infinity Displays and slim bezels all around. But there’s one addition that’s not so obvious: stereo speakers. Samsung has once again turned to AKG to tune its new front speakers, and the handsets also support Dolby Atmos for simulated 360-degree surround sound. The positioning isn’t the only thing that has changed about the camera. A cursory look at the spec sheet might show the same 12MP Dual Pixel primary lens with optical image stabilization that made the S8 such a sharp shooter. But the aperture is a wider f/1.5, and it’s here where Samsung’s “state-of-the-art technology” comes into play. Instead of a fixed aperture as found on most phones, Samsung has included Dual Aperture in the S9, meaning the camera will switch from f/1.5 to f/2.4 depending on the available light. The fingerprint sensor is now below the camera, which should make it easier to target. Also new is a Super Slow-mo mode similar to the Sony Xperia XZ Premium that captures video at 960fps. Automatic motion detection that uses AI starts filming in Super Slow-mo as soon as a subject in your frame starts moving. Samsung has also added a bit more than superficial separation between the S9 and S9+ this time around. On the larger model, there’s a dual-camera setup that pairs a 12MP telephoto lens with the standard wide-angle one for sharper portraits and extra clarity. Apple pulls a similar move with the iPhone 8 and 8 Plus, but this is the first time Samsung has put a better camera on the larger model. And there’s one more camera trick up the S9’s sleeve: AR Emoji. Something of a cross between Animoji and selfie stickers, Samsung’s AR Emoji map out more than 100 facial features using user-generated selfie images to create “a 3D model that reflects and imitates expressions, like winks and nods, for true personalization.” And since it uses a standard AGIF file format, you be able to show Animoji-using iPhone X users exactly what they're missing. 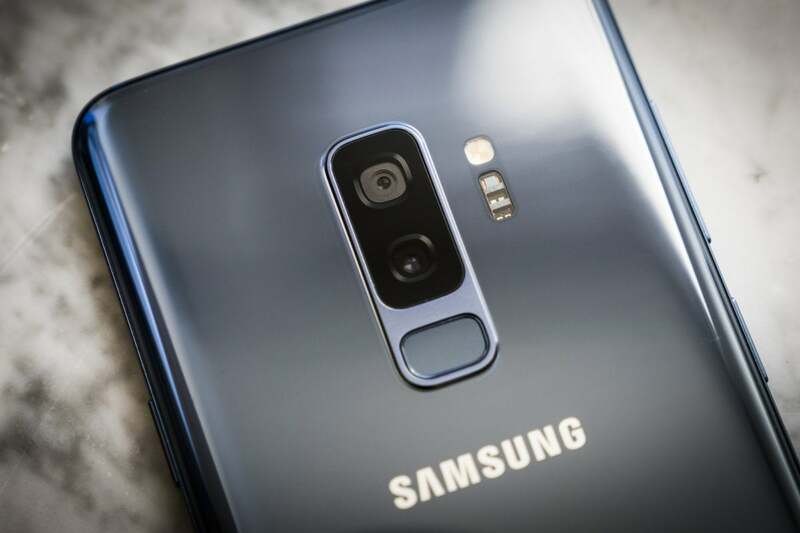 For users looking for a bit more out of their S9, Samsung has outfitted the handset for productivity with a slew of enhancements. Bixby has been beefed up with live translation and currency conversions (so you won't have to snap a pic first), and the Note 8’s neat App Pairing feature—which lets you automatically launch two apps in multi window mode—has been ported over. There’s also a new Intelligent Scan biometric that combines iris scanning and facial recognition to quickly unlock your phone. It’s doesn’t use 3D scanning like Apple’s Face ID, but Samsung says it will greatly improve low-light unlocking abilities, one of the pain points of the S8. 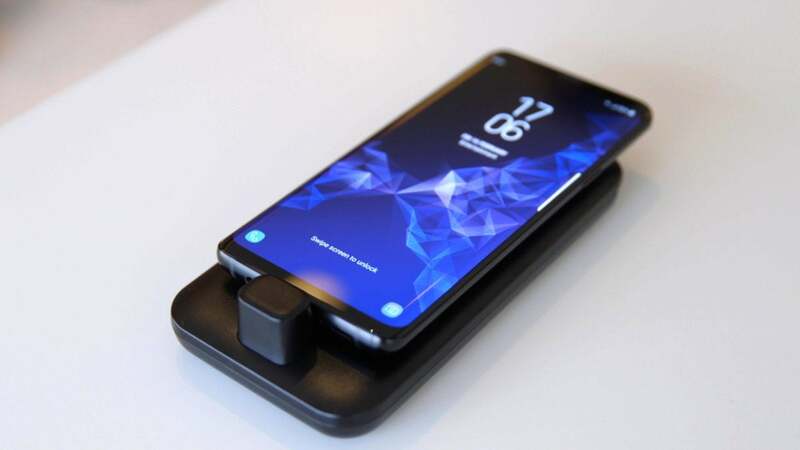 The S9 will lie flat on the new DeX dock. Finally Samsung is also selling a redesigned DeX dock that instantly transforms your S9 into a full-fledged desktop computer. This time around, the phone lies flat on a DeX Pad, letting you use it as a trackpad and a keyboard, so you won't have to bring your own accessories. AT&T: The S9 will cost $790 ($26.34 per month for 30 months) and the S9+ will cost $915 ($30.50 per month for 30 months). Verizon: $800 ($33.33 per month for 24 months) will get you the S9, while the S9+ will cost $930 ($38.74 per month for 24 months). T-Mobile: The S9 will cost $720 ($30 per month for 24 months) and the S9+ will cost $840 (also $30 per month for $24 months but with a $120 downpayment).